Everything is better with bacon, right? Shrimp. Basically, shrimp with a 1/4 cut piece of bacon, wrapped and secured with a toothpick. And smoked oysters (drained), wrapped with a 1/4 cut piece of bacon, secured with a toothpick. Place on separate pans of baking sheets, covered with aluminum foil. Bake at 375 degrees for about 30 minutes (shrimp might not take as long) or until done. So good…you can serve these as is, with your favorite sauce, really doesn’t matter, because…bacon. Ha. I made these years ago when I had them at church potluck and had to have the recipe. I loved them, and they are highly addictive. 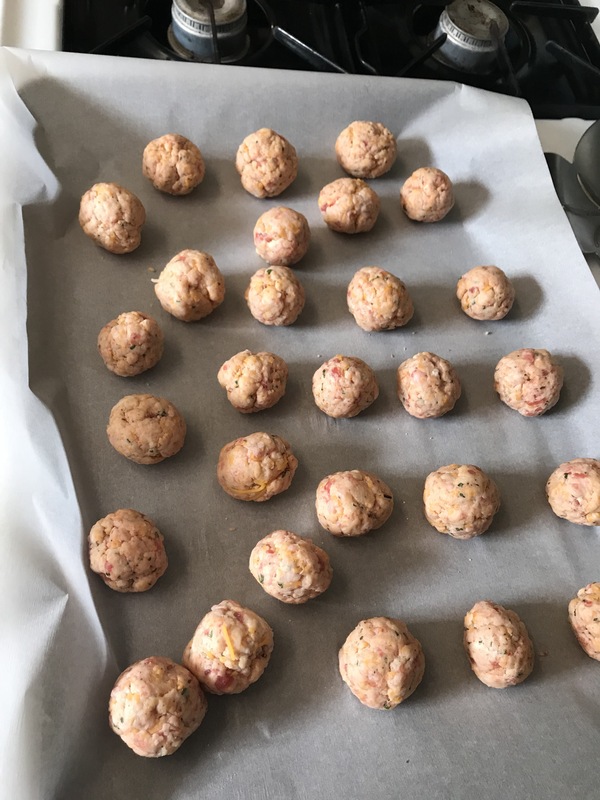 (Not good for a reset week – but we are having a potluck a work today, and made these last night.) These pair well with my pimento cheese or on their own. Place sleeves of crackers into a large Glad container. In a bowl, mix oil, ranch dressing mix, and red pepper flakes. Continue to stir the mixture. You don’t want the red pepper flakes to settle. Drizzle the mixture over the crackers. Put lids on the container and turn upside down every 5 min. for 30 min. Will keep for up to a week. 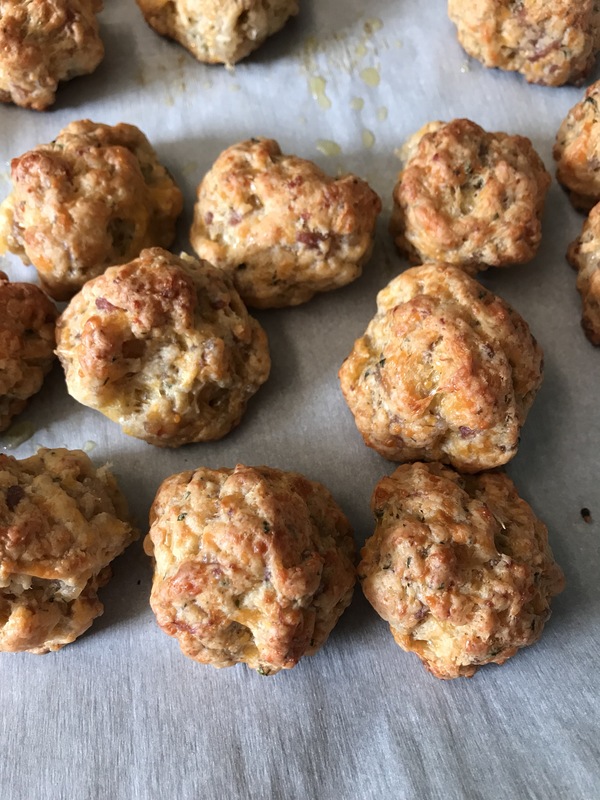 My supervisor brought in some of these sausage cheese balls to share, and oh my, I loved them. Original recipe at Plain Chicken. 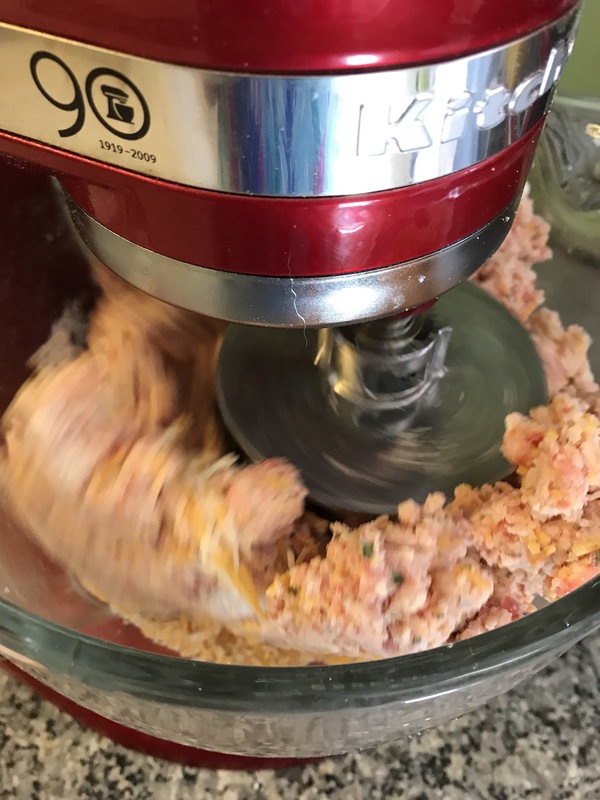 Plain Chicken’s advice to use the mixer with the dough hook attachment was the best ever! It didn’t over mix making it tough. They were blended, and completely mixed. I froze half of the mixture. 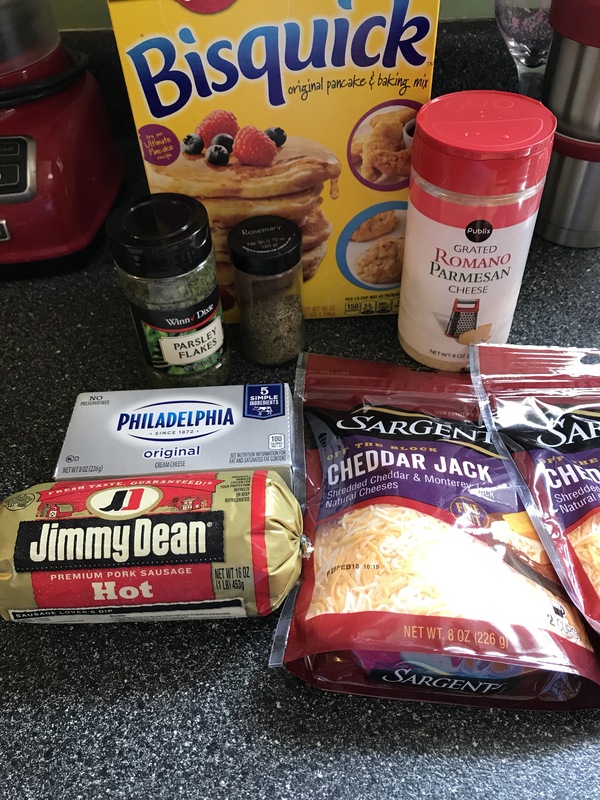 These were creamy, moist, and had a bit of a kick due to the hot sausage (used Jimmy Dean’s Hot). 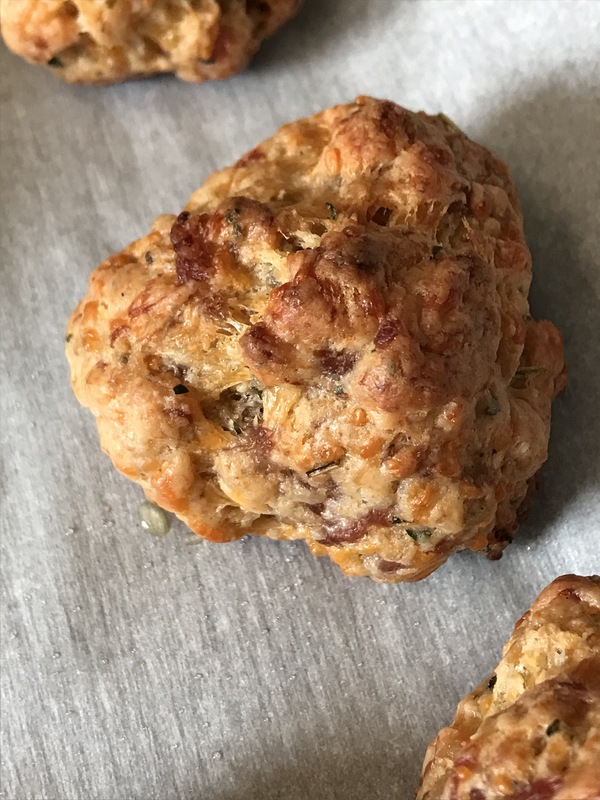 I loved the original recipe of the sausage balls without the cream cheese, but these are so much better.